Artificial grass Plymouth has recently became a very popular request for us at Simply Carpets. All previous attempts at artificial grass were very unrealistic and unconvincing. Up until now! Have your dream lawn all year round with our artificial grass. No need to mow, no need to feed, no muddy patches, no unsightly weeds. Just a gorgeous lawn that stays that lovely shade of green that we all crave so much. It makes it perfect for those that don’t have the time to maintain a real lawn and so this makes life so much simpler for so many people. What’s not to be desired about artificial grass then? Don’t think for a moment that our artificial grass is only there to be looked at. It’s made from durable materials that make it perfect for children to play on, host outdoor parties on and play fetch with your dog too. The possibilities are endless. Feel free to blow up the swimming pool and not have to worry about the grass dying. Lay down a towel and sunbathe as you would on real grass. 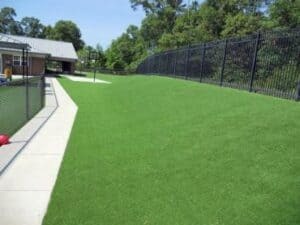 After all, the artificial grass isn’t just there to be looked at, it’s there to be used. Customers have been known to use artificial grass to resurface football pitches. Some have even used artificial grass to create a small golf putting course in their garden. Get creative and go wild! As the leading supplier of artificial grass Plymouth, you can imagine we have quite the selection! 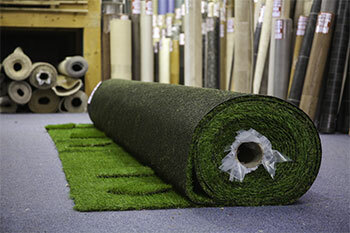 We have artificial grass in stock and available to be cut from the roll and taken away on the same day. We are the one of few stockists of artificial grass in all of the South West, if not the only stockist. Come and view our range of artificial grass Plymouth today. Our friendly staff are more than happy to answer any questions you may have about artificial grass. Not only will we cut your artificial grass to size, we will also roll up your length of artificial grass and load it into your transport. We can also deliver artificial grass in Plymouth too. 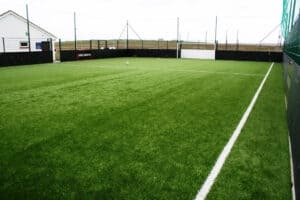 Or, should you require, we have a dedicated team of fitters that are highly experienced in fitting artificial grass Plymouth. If you’re feeling brave and want to fit it yourself, check out our guide on how to fit your imitation lawn.